Researchers and clinicians — do you have new ideas for presenting research in surgery? As the number of surgical proceduresincreases annually, it's essential that we take a fresh look at how this researchis presented. That's the idea behind the Surgical Specialties Innovation Challenge. It's intended to encourage development of novel and innovative ideas for publishing research in the field of surgery. We are encouraging ideas from academicsurgeons and clinicians. We'relooking to the surgical communities to help jump-start a new surgery publishingparadigm — one in which articles deliver more value to readers and help provideeven better patient care. “Surgeons are rapidly adopting new approaches to learning, disseminating and discussing new information," said Dr. Scott LeMaire (@scottlemaire), Professor of Surgery and of Molecular Physiology and Biophysics, the Vice Chair for Research in the Michael E. DeBakey Department of Surgery, and the Director of Research in the Division of Cardiothoracic Surgery at Baylor College of Medicine. 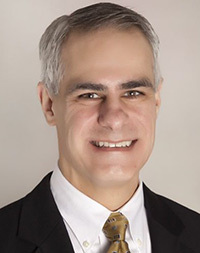 Dr. Lemaire, who is co-Editor-in-Chief of the Journal of Surgical Research, called the challenge "an exciting opportunity for surgeons and surgical scientists to help shape the future of communicating research findings." The deadline for proposals is October 31, 2015. The winner will be announced in mid-November and will be awarded $5,000. For more information and to enter, visit the website of the Surgical Specialties Innovation Challenge. As Elsevier’s Publishing Director in the Health & Medical Sciences, Andrew Berin oversees a team of global publishers across a range of medical specialties, with a special concentration in surgery. As a market leader in surgery journal publishing, Elsevier supports the mission of our society partners, editors, authors, readers, and reviewers. We take seriously our responsibility to listen and collaborate. As Senior Content Innovation Manager, Health & Medical Sciences at Elsevier, Rolf Kwakkelaar works closely with publishers, editors, and societies on new innovations. 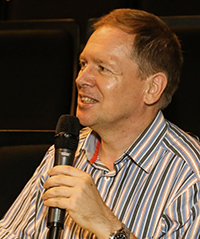 Rolf has initiated and delivered a number of successful and well-received features such as Interactive Case Insights and the Virtual Microscope (which won the 2015 PROSE award for best App/eProduct).